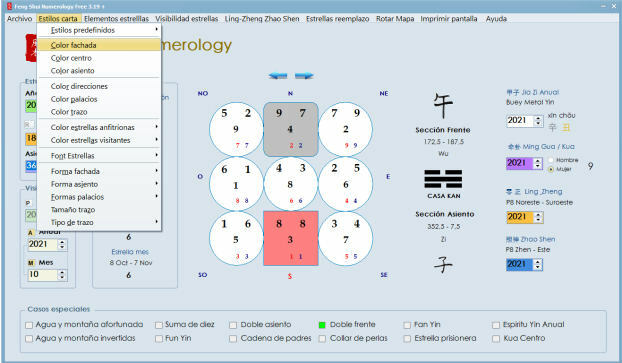 Feng Shui Numerology 3.19 is a fully functional and free software dedicated to all enthusiasts of feng shui.The program provides both, the student and the profesional consultant, the analysis of a geomantic card, using the system of the Xuan Kong Fei Xing. The software helps us to calculate each one of the 432 existing maps of the flying stars, including all of the geomantic replacement maps, providing instant information about the various special cases, relationships of the kua number, visitor stars, water formulas and many other features. 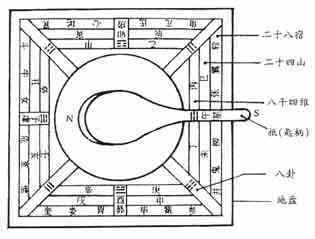 The branch of the Xuan Kong Fei Xing is a serious way to aproximate to the compass school [Li Qi], providing valuable information about life and temporality of a building. The software provides calculations that are based on the date of construction or alteration (if it is vital and important) of a property, as well as on the magnetic degrees that hold its main orientation, known in feng shui as front or yang facing. 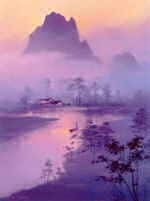 After entering the time data and the magnetic orientation, Feng Shui Numerology software shows in each directional block the water stars, mountain stars and time stars, with the possibility of including the visitor stars of the different periods, such as annual and monthly. The water star is shown in the upper right corner, the mountain star in the upper left corner, and the time star in the centre. The visitor stars are shown in the bottom and in the following order (period, anual and monthly). 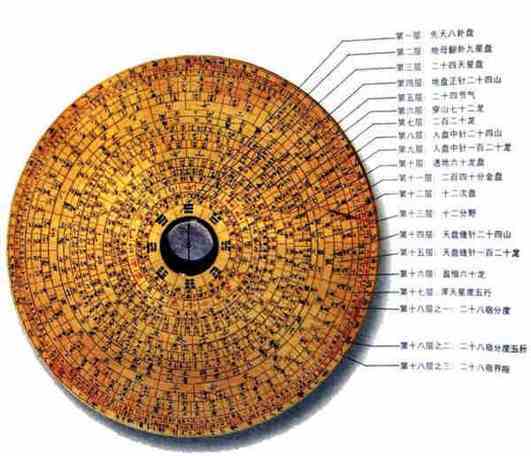 All calculations of this system are based on the energetic movement of the Luo Shu combined with different patterns or cycles of time. The program provides on-screen the notation in Pinyin of the 24 mountains (gaps used for the lecture of the luopan or traditional chinese compass) and its calligraphy or chinese characters. To the right of the geomantic chart appears the trigram of the house according to the Ba Zhai school and its relationship with the degrees of the facing and the sittings. In the stars chart the direction that corresponds to the facing is shown in red. The software gives you the option to program at your convenience the different styles of the projection or Skin, creating different combinations of colors, shapes, sources, etc. The software also can optionally display the colors of the element to which each star belongs by Ctrl + C: (fire in red, earth in brown, metal in grey, water in blue and wood in green). The pair of stars most common for the analysis are the water star (very briefly explained is the one that talks about prosperity of the construction, its, dynamism, oportunities and yang energy) and the mountain star (that gives us clues about the health, reflection, relationships between persons and the yin aspects of the energy). Each of the stars also belongs to a time cycle, as well as to the 5 elements classic in Chinese philosophy (fire, earth, metal, water or wood). There are 81 pairs of classic combinations (mountain-water, water- time, mountain- time) that offer information about varous aspects, although its interpretation varies according to the cycles of time and depending on the distribution of the plan and the external forms that surrounding the structure. Therefore the program should be used in conjunction with a detailed plan an a knowledge of the Xuan Kong Fei Xing technic, for proper analysis. Field Year: refers to the year of construction or structural refurbishment of a housing or building. This data is used to calculate to which period belongs a construction.There exist 9 different periods listed from 1 to 9, with a stipulated period of 20 years. For exampe the period 8 reigning at this moment , runs from February 4 of 2004 until February 4 of 2024, so all the houses builded in this interval belong to the period 8. According to the latitude of the different time zones, the start of the Chinese solar year can range between the 3 and the 5 February each year. If the construction of your home finished in a year of cyclical change of period (1964, 1984, 2004, etc..) you have to observe the Chinese solar calender and the time zone of your country to ratify the exact moment in which the change happened.